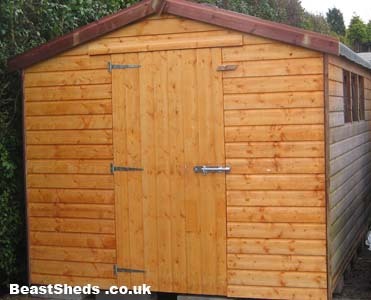 Exterior side is clad with tongue and groove wood and treated depending on what treatement you choose for your shed. 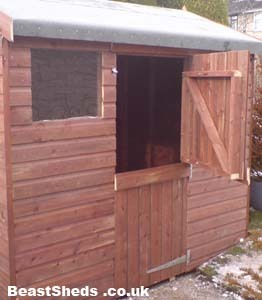 The structure is made from the same wooden framework as the rest of your shed and is always tanalised no matter what type of treatment you chose for your shed, protecting it from the weather when left open! The door frame is usually 5ft 8" high. You can specify what side of the door you want it to be hinged. 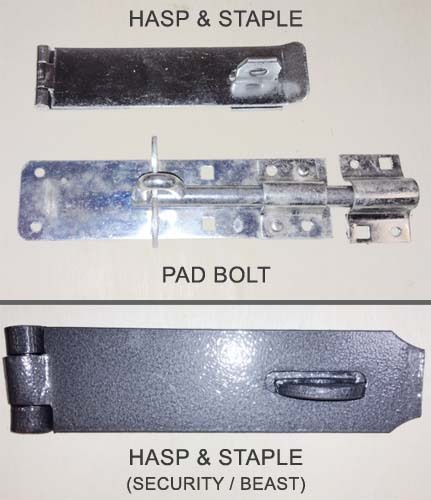 We include a hasp and staple bolt as standard. 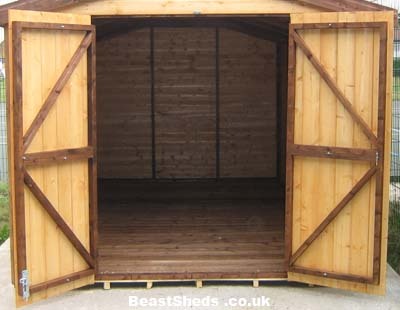 Depending on what shed range you go for, the size & strength of the hinges will alter. 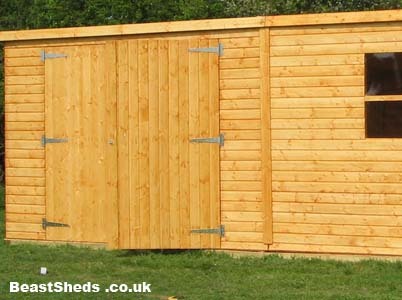 Example of our standard garden shed door showing the hinges we use and hasp & staple bolt which allows a padlock to secure it. 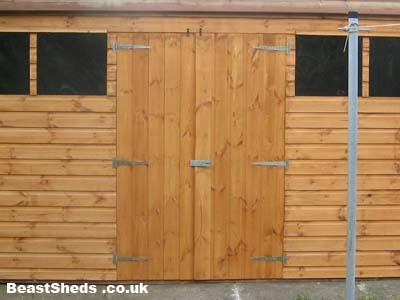 Example of our security shed door showing the larger hinges we use, which are also bolted, and the bolted padlock protector we include. 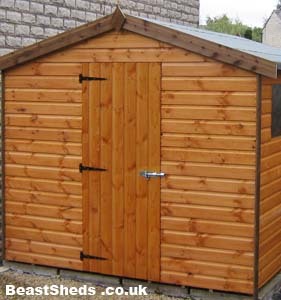 The Beast and Security shed ranges have the stronger, 7" X 2" Heat treated carbon steel heavy duty hasp and staple lock.